Bollywood beauties Sonakshi Sinha and Diana Penty stepped out for promotions of their upcoming flick Happy Phir Bhag Jayegi in Mumbai on August 9, 2018. The makers of the film recently released the official trailer of the flick and it looks promising. The film is the sequel to the 2016 flick Happy Bhag Jayegi which had Diana Penty and Abhay Deol in lead roles. Sonakshi for the promotional event looked cool in a rugged look and was seen wearing a denim jumpsuit with a black tank top and white sneakers. 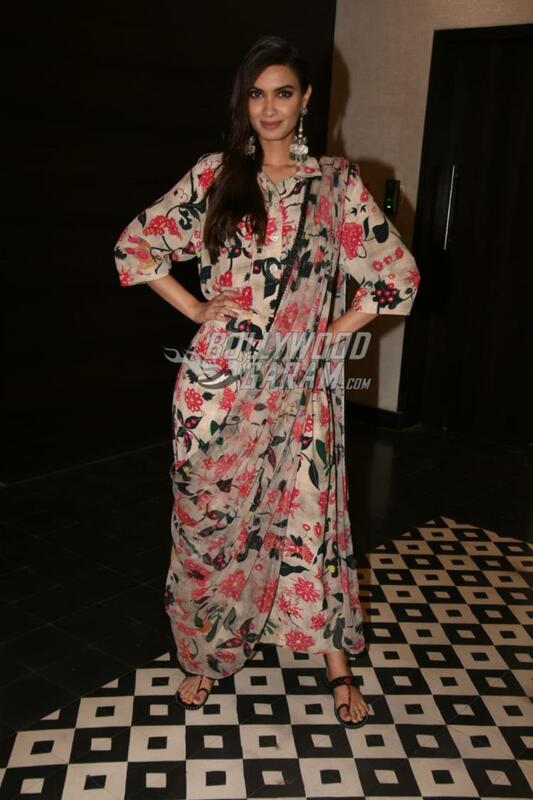 On the other hand Diana opted for the ethnic look with a floral floor length outfit. The girls had a great time posing for the paparazzi and were all smiles at the promotions. Happy Phir Bhag Jayegi also stars Jassi Gill, Piyush Mishra, Jimmy Shergill, Ali Fazal and Aparshakti Khurrana. The film is directed by Mudassar Aziz and is produced by Aanand L Rai and Krishika Lulla. The soundtrack of the flick has been composed by Sohail Sen while the lyrics have been penned down by Musassar Aziz.